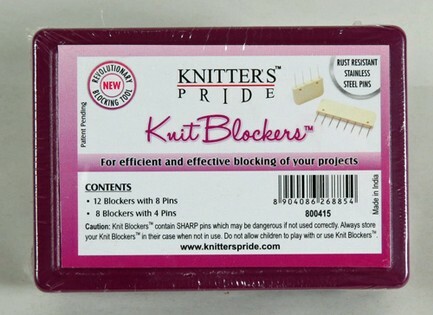 Introducing Knit Blockers™ by Knitter's Pride! Knit Blockers™ are an innovative solution that allow users to more easily and more quickly block their projects. Knit Blockers™ were developed by Nancy's Knit Knacks (NKK) based on a design and recommendation of a very creative knitter. 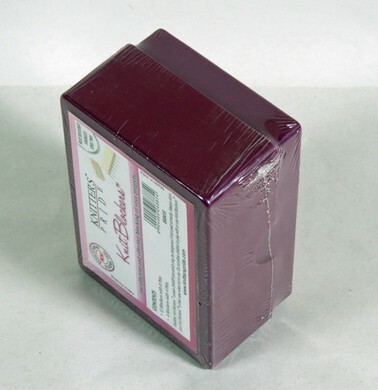 NKK then sought a partner who could produce these products at a low cost and distribute them Worldwide. KnitPro International was the partner that NKK felt provided the best solution. They manufacture the World famous line of Knitter's Pride knitting needles. So the evolution of this great new product started by a knitter who had taken the time to make prototypes and who knew deep in her heart that this product was one which knitters Worldwide would enjoy using. When we first heard of it and had a chance to test the prototypes, we agreed. This product was a winner! It subtantially reduces the number of pins that a user needs to use to block a project. Plus it allows the user to apply a more consistent tension while blocking a wide area. 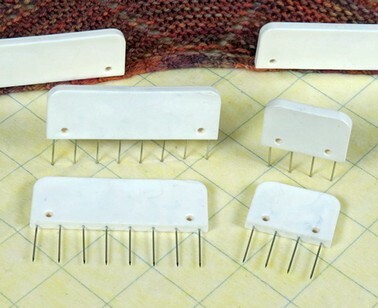 It saves time and provides a better, more consistent solution than using pins alone. 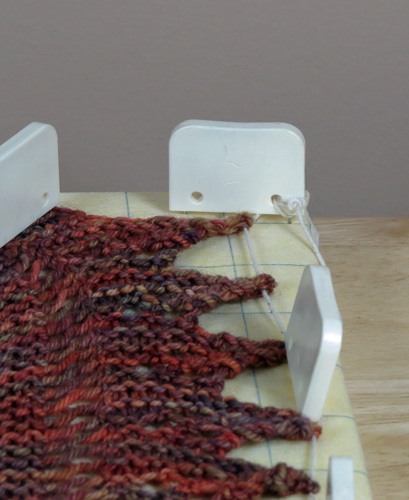 Knit Blockers™ also have the ability to serve as an anchor for attaching string to run within the stitch ends along the perimeter of the project. 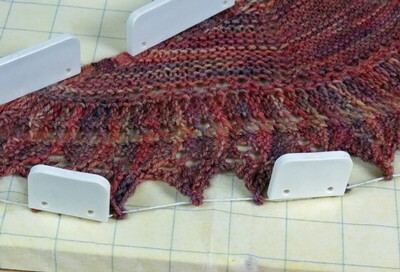 You may also use Knit Blockers with blocking wires. 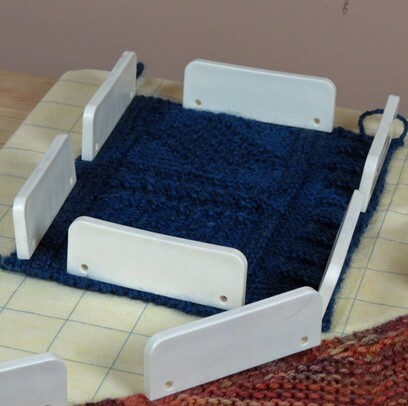 These neat Knit Blockers do so many different tasks and we are sure that knitters will discover many more methods for using them. 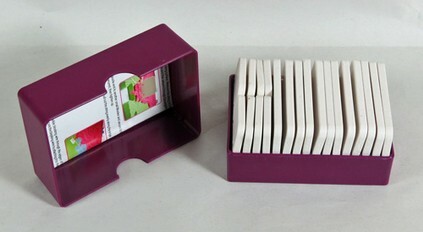 A Knit Blocker set consists of 20 units in a nice plastic storage case: twelve 8 pin Blockers and eight 4 pin blockers. 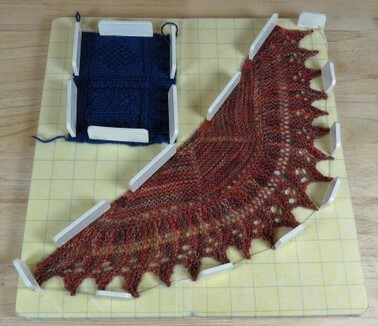 Some projects may require more Blockers but the user can use string to extend the length or use individual pins in conjunction with the Knit Blockers. Of course, a knitter can buy a second set of blockers as well. Knitter's Pride and Nancy's Knit Knacks carefully engineered this product to provide a neat NEW solution for all knitters when blocking. We hope that you will enjoy using this great new tool. Set weighs approx 9 oz. Please try them. They will change the way that you block your projects now and forever! 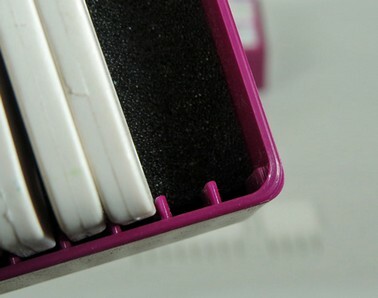 The box contains 12 large 8 pin units and 8 small 4 pin units.